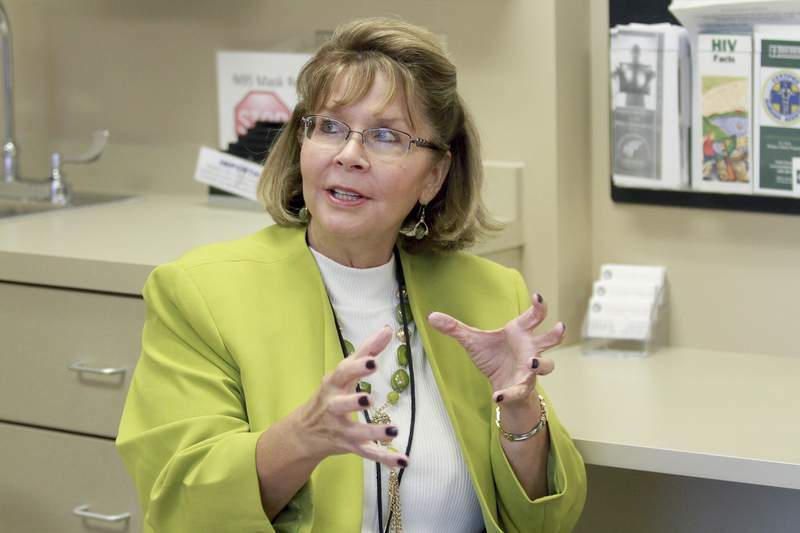 The number of new cases of gonorrhea in Allen County has increased by 187 compared with this time last year, Dr. Deborah McMahan, the county's health commissioner, told the Allen County-Fort Wayne Department of Health board Monday. Overall, the health department reported an 11 percent increase in sexually transmitted infections in the first nine months of 2017. “I think we really need to sit down and try to figure out how to address this,” McMahan said, adding that often communities see increased cases of gonorrhea and syphilis followed by an increase in HIV infections. There were 27 new cases of HIV in Allen County between January and September this year, an increase of five from the same period in 2016. There are 674 new cases of gonorrhea, 1,657 new cases of chlamydia and nine new cases of early syphilis in Allen County this year. To help combat the spread of blood-borne diseases, the department of health's syringe services program was extended for two years, McMahan said. Since opening last fall, the program – which exchanges clean needles for used ones – has a 96 percent return rate. The national average is 80 percent, department administrator Mindy Waldron said. Waldron said most of the facility's clients are bringing all of their needles, sometimes more, back to exchange. Although use of the program was slow when it first opened, the facility now serves more than 30 clients, Waldron told the board. The increased client base means the department of health is beginning to explore options to expand the number of employees working at the facility, Waldron said. The department of health needed to hire only one new employee to help staff the facility, Waldron said, but the level of use may prompt the need to hire more in the future.